The correct use of inhaled respiratory medications from the National Asthma Council of Australia website. A spacer acts as a reservoir for aerosols produced from MDI’s and allows almost twice as much medication to reach the lungs and penetrate the airways, compared with a MDI inhaler alone (Fig 1). 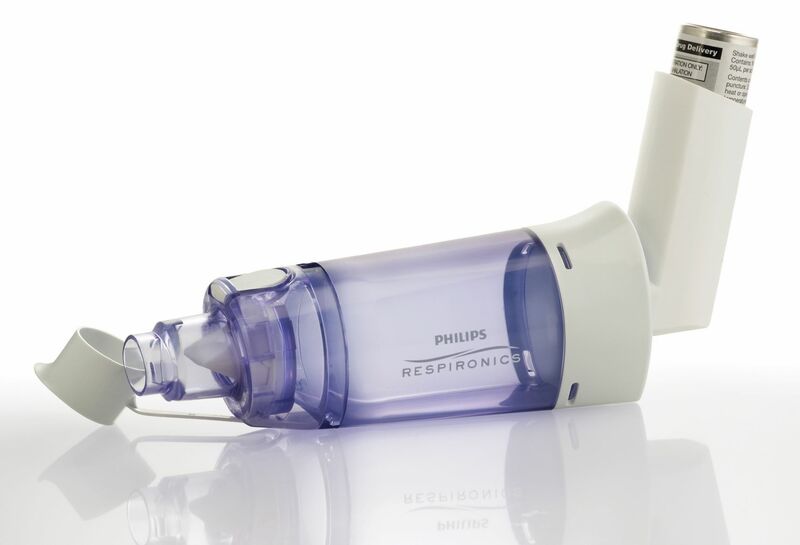 Studies with Asthma and COPD have shown that equivalent doses of medication given through a spacer device, can achieve the same effect as using a nebuliser. Never put more than one puff (actuation) of drug into the spacer at any one time. The second dose will mean many smaller particles will impact on the large particles being held in the chamber and will cause them to rain out losing a large proportion of drug dosage. Cleaning should be carried out after approximately 2 weeks of daily use – cleaning more frequently increases the static inside the spacer which will reduce the quantity of medication reaching the lungs. Wash all sections in warm soapy water. Do not rinse the spacer parts (to reduce the build-up of static electricity within the spacer). Allow to dry naturally (ie, air dry – do not wipe dry). Re-assemble all components ready for next use. By all adult patients who have poor co-ordination when using a MDI. Children of all ages can use an MDI and spacer. Children over 4 years can use a MDI and a large volume spacer. Children under 4 years can use an MDI and a small volume spacer (Aerochamber, Breath-a-tech, OptiChamber Diamond) with a face mask (Fig 2). By all patients using inhaled corticosteroids, to reduce the incidence of oropharyngeal side-effects and the risk of systemic side-effects. During an acute attack, the administration of a high dose short-acting beta-agonist via an MDI and large volume spacer is an effective alternative to a nebuliser. Patients are encouraged to take a slow deep breath in, with a breath hold, when using a spacer. 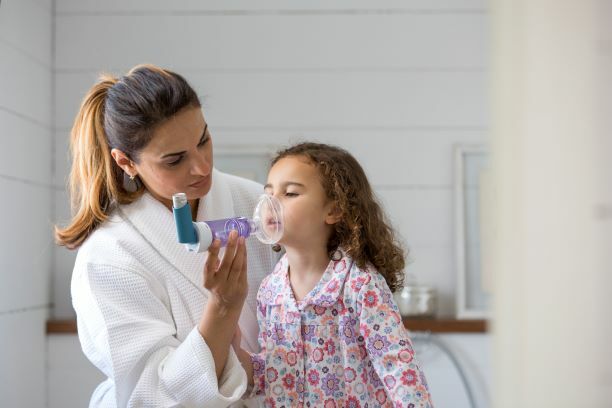 In children (who are unable to take deep breaths on request) 4 – 5 tidal breaths with a large volume spacer will give the same delivery of drug as one large deep breath. An appropriate nebuliser, with a small particle size, is desirable to administer medications to the lungs for people with bronchiectasis.